But feel free to try this out on yours, and post your results in this thread! 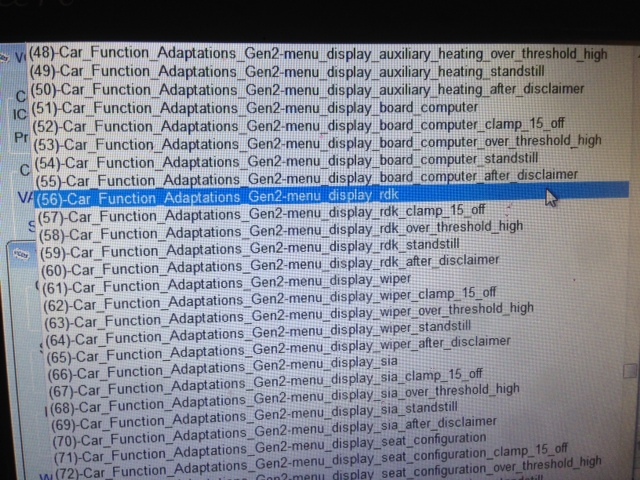 As there is not much info about how to code TPMS onto a A3 S3 8V, I spent about 3 hours yesterday sitting in the car with the laptop. After some initial help from Ross-Tech support, they provided me with a Long Code to replace my long code in the ABS module, to see if this would activate TPMS. This seemed to work, and briefly lit the "flat tyre with !" symbol in the instrument pack. So I assume TPMS is enabled in the ABS module. It also illuminated when you ignition on, and then extinguishes. 2. 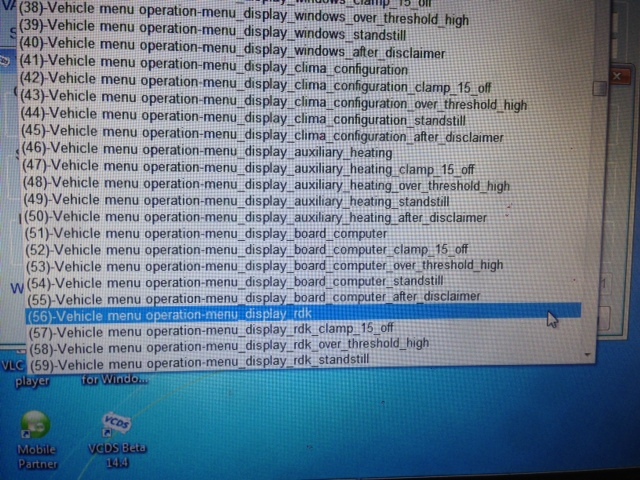 Do u actually need to enable Byte 4 Bit 0 on the 17 Instruments module? I'm guessing there might be a message in the DIS when the TPMS alarms, but I don't know. 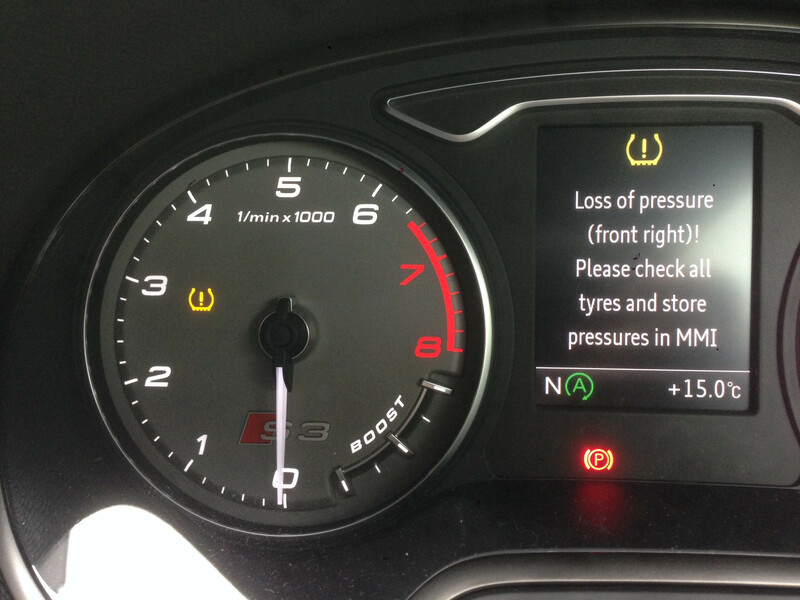 - Anyone with factory fitted TPMS help here? Have you had a warning message in the DIS? 3. Haven't yet figured out which measuring blocks show that the module is learning values. 4. Haven't tried deflating a tyre and driving yet to test if the system actually works (still learning values) - anyone want to try this? Tom Shields, Schizophonic, FrankyShiu and 6 others like this. snowfree52 Full LED baby ! I have factory fitted TPMS, and (ironically) on the way to its first service a few weeks ago it flagged an under inflated rear-right tyre. There is a loud audible beep, accompanied with the TMPS warning light in the cluster, and a message in the DIS telling you which tyre has the problem. So yes, it is indicated in the DIS. Current: 2017 B9 Mythos Black A4 Avant 2.0tdi 190 S-line S-tronic. Sport Suspension, Technology Pack, Light and Vision Pack. Parking Assistance Pack, Privacy Glass, Storage Pack, Tow Bar. Yes, when I've had it go off it has put a message in the DIS. Both times I've had a tyre go flat though, I've noticed it myself before the TPMS has (assume it measures small differences over time better than immediate pressure loss!). It didn't tell me which tyre, but just told me to check pressures. It went off after driving with the space saver on it both times I've used it, and one other time (when the pressures were running a bit low). I'm not entirely sure whether I trust it or what it's doing yet, but it looks like you are making good progress enabling it! 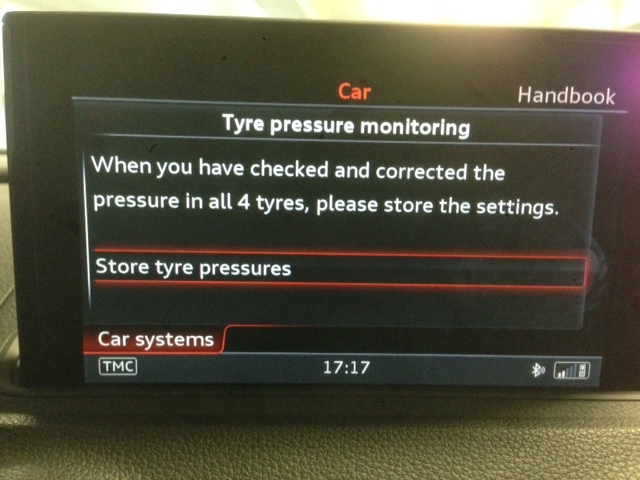 I've also found that it doesn't detect gradual pressure loss (eg: through natural diffusion) of all 4 tyres ! This was on my 8P. Hi Veeeight, nice write up,have you had any further luck with the last 3 steps you mentioned. Bit busy with work at the mo, so haven't had a chance yet. Pretty confident all will be possible soon! Brilliant post, did the security code for ABS get worked out? Can you post details? 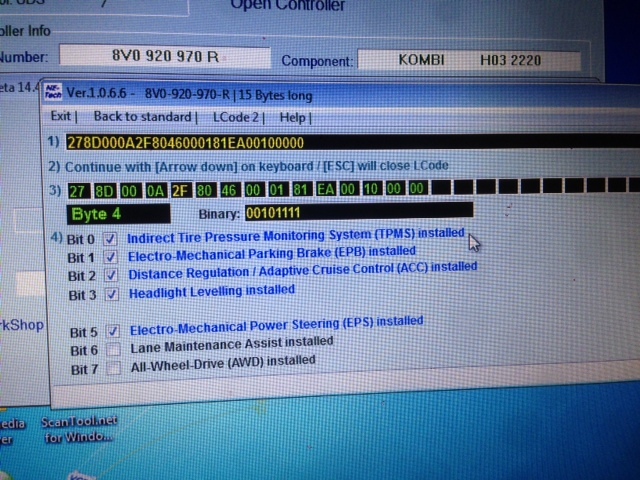 I have factory TPMS and yes, Byte 4 bit 0 is ticked/enabled. VCDS owner - I don't charge beer tokens or want petrol money for mods but ask for a donation to Hampshire & Isle of Wight Air Ambulance. John, do you have your ABS Long code available for us to check against veeeights? you should be able to just paste in your new long code - without needing the ABS security code. PM sent to you both. At the moment I do not have enough examples of long codes from the ABS module to be able to confidently say what you must change in order to enable TPMS. If you want to help this cause further, please either send me your ABS long code via PM, or copy and paste it here in this thread. Don't need your VIN or any other info, just say whether you have or don't have factory TPMS installed. My long code was very similar to yours veeeight so changing 08 to 38 and 06 to 86 worked for me. Does this help to unravel the mystery? I'm a bit concerned that John's code has 78 and 85. I would like to know why ours is 3, and John's is 7 !! Without knowing what each bit means for Byte 27 and 28 it is difficult to say. 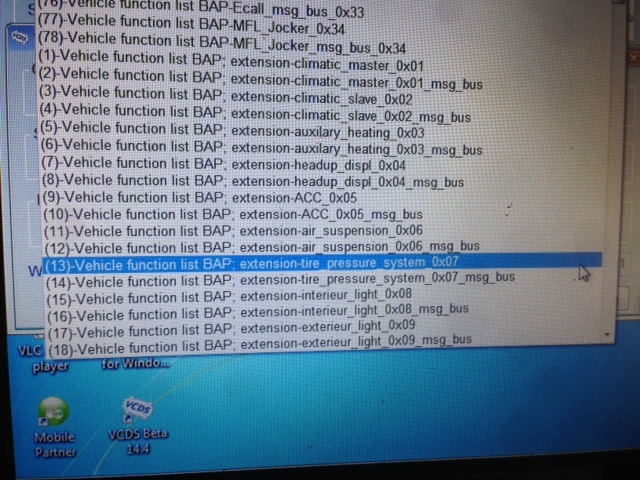 Worth having some more codes and possibly the Exact model/options chosen included with the code as there will be differences because of the options chosen on the vehicle. I have 18" wheels, S-Tronic and Hold Assist too. Those are the only other things I can think of that would affect this, unless it's something to do with where the pressures are stored? It could be Hold Assist, but until I have more ABS Long Codes to compare, I'm not confident to say definitively! Tonight, I let the front tyre down by 5psi, and drove home from work. As only 1 person has sent me their long coding from their ABS module (thank you), I'm unable to help any further without additional data. LuisM and JohnM100 like this. Just asked my friend to get me VCDS cable soon, but actually where the abs long code is??? Hi there, what options do you have? 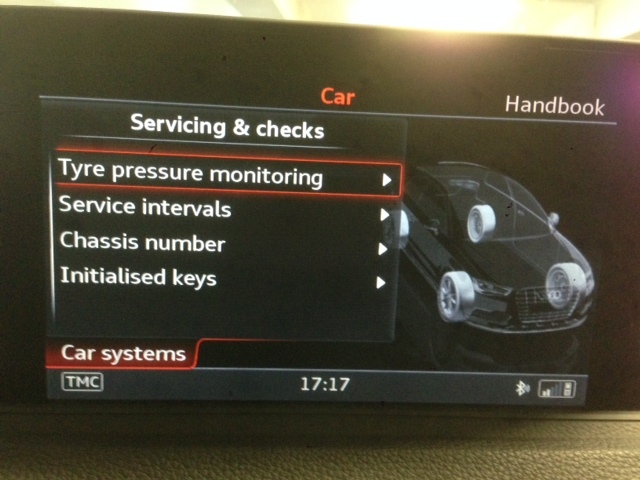 Do you have TPMS as standard? Hi, I tried to encode as it is written above, but for me does not work is the MMI, TMPS shine the light on for DIS. What spec is your car? Basic SD Nav or Tech Pack ? whether you need something to encode nav? I have never seen a car with TPMS and Basic SD Nav, so I don't know if the reset menu is in the MMI or not. Or how you reset the TPMS. My photos of the 5F module and menus are for Tech Pack.